PAP has argued that we need to pay "MARKET RATE" in order to "attract" the TOP TALENTS to serve in the civil service and public service as Ministers. They have even argued that without such a high pay (as high as multi-milllion dollar annual salary package), we may end up with corrupt politicians like those in other places around the world. This is the MOST SELF SERVING as well as SELF DEGRADING argument I have ever heard in the political field all over the world. But I hate to say that even though PAP's reasoning is so full of fundamental flaws in logic, nobody in opposition camp has openly disagreed with such reasoning promoted by PAP. In fact, if we look at the parliamentary debate held on reduction of Ministerial salary, the only argument put forward by both ruling and opposition parties is about how much "discount" they should cut from the existing salary package, instead of debating rigorously on the assumptions and presumptions made in justifying the horrendous high salary package the politicians are giving themselves. Even the formula of calculations provided by Workers Party is basically based on the fundamental assumptions that we need to pay comparable "Market Rates" to our Ministers! That was why they ended up with the embarrassing conclusion that their "alternative" formula is in essence, NOT MUCH DIFFERENT from PAP's existing proposal at all! Giving extraordinary high salary package to Ministers and Top civil servants alike, would create the scenario whereby these individuals may feel "too comfortable" in their positions with only Money as their main motivation. This will create a situation whereby Public Service, instead of grooming talents for the whole country, ended up depriving the private sectors their fair share of talent pool. The practice of sending "high flyer" army generals and top civil servants to Govrenment Linked Companies have generated unsatisfactory results. Even the practice of recruiting political appointees from the civil service which includes the army, are undesirable. Such practices have cultivated the complacent "Iron Rice Bowl" mindset in these scholars. Furthermore, it will enhance and prolonging the existing GROUP Thinking situation in governance. This will prevent innovative ideas and "out of the box" breakthrough in governance. It is only desirable to only provide barely sufficient remunerations to Ministers and Top civil servants so that there would not be any incentives for them to stay in such positions for too long. This will provide the necessary upward mobility of other younger talents waiting in line so that there will be dynamic renewal process at any one time. Ideally, any Minister should not over stay his usefulness and should step down with a maximum of 2 or 3 terms. With a much reduced salary package, I believe they will be more willing to do so. This will not only provide the necessary conducive opportunity for political self renewal but also ensure that political leadership will always be in tune and up to date with the needs and aspirations of each generations of the population. Million dollar salary package will inevitably retain deadwood Ministers which will loose touch with the ground when they are too entrenched in their ivory tower of powers. Everybody knows Power Corrupts, Absolute Power Corrupts Absolutely. But I think we should add that prolonged entrenchment of Power will inevitably corrupt absolutely. Ironically, High Salary package will create the conducive conditions for people to entrench themselves in the positions of power and thus, inevitably corrupted. PAP's argument that if their Ministers are not paid the highest in the world with horrendous amount of bonuses, they will be corrupted, is absolutely self degrading. Do they mean that if we reduce their salary drastically to $500K tomorrow, their ministers will immediately become corrupt overnight? That is absolutely rubbish. Some of them may consider to retire early, which may not be a bad thing at all because this will make ways for self renewal! Furthermore, High Salary package may inevitably attract the WRONG kinds of talents who are more concerned about their monetary gains rather than the well being of the citizens. This is the fundamental reason why we are seeing more and more "intelligent but heartless" people in PAP's rank of ministers! Most of the KPIs are set so that they could extra the maximum amount of "surpluses" or money from the citizens, in order to determine how much bonuses they should get in return! Setting a decent but not exorbitantly high salary package may just filter out the UNDESIRABLE materialistic and "Money Face" elements from such prestige standing of Public Service. PAP has argued that their slate of ministers are "TALENTS" before they join and become Ministers but I would say that the Public Service as Ministers is the ultimate process that will ADD VALUE to them. When they retire from politics and join the public sectors, their exposures and experiences gained as Ministers will be highly valuable. 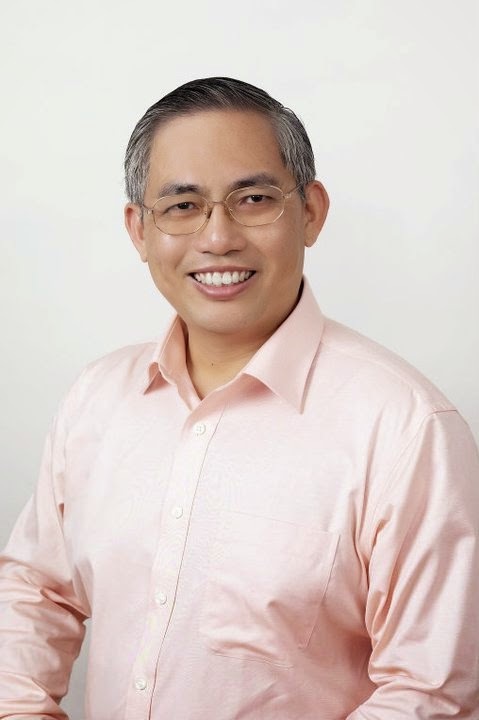 There is one prime example that the exposures of a Ministerial post has added tremendous value in which a PRIVATE company has made great offer for his service after he retired from politics: George Yeo who has lost Aljunied GRC in 2011 GE. Most of other former PAP ministers were only deployed to other GLCs after they retired from politics and this hardly explain nor justify why they were given million dollar ministerial salaries in the first place. Only those mediocre ones, even with such added value, will end up with mediocre jobs. There is absolutely no necessity to give exorbitantly high salary package to Top Civil servants and Ministers at all. Really smart and talented people with a heart for Public Service would view the great value in serving in these Top posts which will enhance and further their career in private sectors after they retire from these positions of powers. The enormous value of the potential network, influence and experience gained from these positions itself would be attractive enough for real talents to join Public Service in politics. There is no necessity to provide a multi-million dollar salary package that will keep "talents" entrenched in their posts for too long as this will breed corruption of power. In order to prevent greedy people who are not contended with the much lower pay from corruptions, independent powers separated from executive manipulations from politicians should be installed. i.e. CPIB should be made INDEPENDENT from PMO with appointment of a Commissioner from the pool of retired-judges. Such separation of powers entrusted to CPIB would ensure that proper checks and balances would be installed to clamp down on potential corruptions from politicians. The only effective safe guard from political corruptions is a system of TRUE INDEPENDENT of CPIB achieved through separation of powers, instead of feeding potential greed with more money. Thus I would argue that we would only need to provide an adequate salary package for politicians and top civil servants to live a dignified life as leaders of the country but not a life of a million or billionaire. And contrary to PAP's assertion that only million dollar salary could attract the necessary and "Right" talents to serve, I think only a greatly reduced salary package from the current one could weed out those undesirable candidates and provide us the RIGHT persons to serve as the political leaders of the Nation. I will only support Opposition Parties which TRULY BELIEVE in the Universal CORE VALUES of Democracy, Social Justice, Fairness, REAL Separation of POWERS (FIVE POWERS in Total) to effect REAL Checks and Balances, Rule Of Law and Basic Democratic Rights like Freedom of Speech and Expression. I will only support Opposition Parties with a clear and irrevocable belief in the ideology and the principles encompassing the human spirit of freedom and democracy. I do not wish to see the case whereby in the haste of voting out PAP, we end up voting in a party that do not believe in all these and in fact, would be even MORE PAP than PAP in curbing civil rights and Democracy. We must be discerning in our support of Opposition Parties which will hold our common belief of continuous Progressive Democratic Development for Singapore. There should not be ANOTHER PATH other than this else we will be pushing our country from one Tyranny of Dictatorship to another damning Dictatorship. I will draw my line very clearly from those political parties or charlatans who tried to cheat us of TRUE Democracy. PAP has done that to my father's generation and that is why I am out against them. I shall not fall for another party which will try to do another PAP on us again. Observe the speech and actions of various Opposition Parties, to scrutinize and determine whether they truly believe in the cause of Democratic Development for Singapore. Determine from the way they run their political parties and daily political activities on whether they truly believe in true democracy, true human spirit of freedom and justice, most important of all, believe in REAL workings of separation of powers and avoidance of CONFLICT OF INTERESTS, especially when monetary interests are involved. And in Singapore's context, practice TRUE FAIRNESS and whether truly taking care of the interests of ALL RACES. We want TRUE DEMOCRATIC DEVELOPMENT for Singapore and no other paths that deviate from it. There is an UNHEALTHY mindset among some political party members. There are some party members who are so afraid to admit or make known to others of their party membership. They are most afraid of identifying themselves as a member of the political party they belongs to when they write or speak in public. I used to think that only guilty conscience PAP members would avoid to let others know that they are PAP members but I do know of friends who are PROUD to be PAP members and make known to others that they are one. Well we may differ in political views and affiliation but I do respect them for able to stand up proudly to what they believe in and their party affiliation. However, it is an irony that there are some opposition party members who are so afraid to identify themselves with the party they are affiliated to. Are they afraid of PAP or ISD agents to hunt them down? No. They are more afraid of their own party going after them! I always thought that only people with some dubious intention or agenda needs to hide themselves up but I was wrong. The amusement of such irony will always entertain me every now and then. If we truly believe in Freedom of Speech and Expression, how could opposition party members be controlled in such a manner? It is totally irrational and unhealthy. One should feel free to speak his mind and he should know what to and what not to speak. We should empower our people to speak up, especially political party members! The sad thing from this unhealthy situation is that, if the opposition party and its members have already exercise SELF CENSORSHIP even on their own party membership, can we really depend them on making Singapore more open to have more Press Freedom? 1) What do they think about current political system and do they think we need to improve the Checks and Balances of the whole system? 2) Do they believe in Separation of Powers as the main pillar of Democratic system? If so, what do they suggest to enhance the Separation of Powers in our current political system? 3) Do they believe in Freedom of Speech? If so, what do they suggest to change from status quo? 4) Do they believe in Social Justice? If so, what do they suggest to enhance it? 5) Do they believe in Rule of Law? Are they satisfied with the current system? If not, what do they suggest to enhance it? If any opposition party refuse or try to shy away from answering all these basic questions, you should beware of their TRUE COLORS. It has come to my attention that there is a group of "opposition supporters" (well, in fact, just a particular party supporters) which is ultra left and does not really believe in the Universal Values of Democracy, Rule of Law, Justice and separation of powers. This group is actually "Ultra-Left" which has a slanted view of Great China which I suspect is basically Chinese Chauvinistic in nature. For Opposition supporters in Singapore to support tyranny rule of CCP in China, hitting out any Democratic Movement against the tyrannic rule of CCP in all possible opportunities, have exposed their ideological idea of Dictatorship. From my observations so far, this group of "Opposition supporters" does not really believe in Democracy. If they ever have the chance to influence or even control any opposition party to come into power, most probably they will be MORE PAP THAN PAP in all aspects. From my observations, they are basically holding the same Dictatorship ideology or tendency which PAP embraces... the Monopoly of Power is their strategic positioning. They will encourage multi-corner fights to prevent any other opposition parties other than the one they support, so to prevent other opposition parties to be successful in GE and make sure that the party they support will be the only viable party to become ruling party. I hope all of those people who believe in Democracy as our core value and our basis in our struggle against PAP, to be extremely careful of this group of people. Else, we may just end up with a group of people who are More PAP than PAP to be ruling party in future. I have to concede, the big word "Opposition" is built around mostly on the concept of "Anti-PAP". We must also admit that among the "Opposition Camp", Opposition people, be it opposition party members or supporters, aren't really "perfect" in every sense. 1) Lack of Understanding or even doesn't believe in simple Universal Core Values of Democracy, Rule of Law, Social Justice, Basic Human Rights, Fairness, System of checks and balances, Accountability and Transparency etc. We have to apply these values in assessing BOTH the ruling party as well as our own opposition parties. 2) Extremist tendency in Racial aspects (Racial Chauvinism), Religious aspects (insensitive Religious based attacks or comments) and Party Affiliation aspects. 3) Some party supporters are very defensive of their own party's shortcomings while attacking almost every other opposition parties in all other ways. Ironically, they have the same monopolistic tendency just like PAP. This is unhealthy for Singapore democratic development. 4) The more worrying tendency is the rise of Religious and Racial assertions in the daily social-political discourses. We must understand that no party will be able to rule effectively or even win elections, if it does not show the ability and capability to take care of the interests of ALL races and religious groups in Singapore. PAP will discourage positive religious and racial discourses in the name of "possible sedition" but the truth is, one of the main reason why PAP is still able to stay in power is because it has used all mechanism and machinery available as the ruling party, to show that it is the "ONLY" political party which can take care and balance the interests of all racial and religious groups. Opposition people are not going to progress if they are still stuck with divisive extremist tendency in Racial and Religious aspects. 5) While we may position opposition as "Pro-Singapore", "Pro-Singaporeans", but there is really a fine line between Nationalistic vs Xenophobia. Based on the Universal Core Value of Democracy and Social Justice, we should also help those foreign workers who have been ill-treated or exploited by their employers or even the whole system to seek justice and redress. Instead, we are seeing people attacking foreigners all across the board regardless of the context and situation. A balance must be struck between Anti-Liberal Immigration Labour policy vs Anti-Foreigners. We are against the policy, not Foreigners who behave themselves in Singapore. Of course, for those Foreigners who misbehave themselves here but consistently just get a slight slap on their wrists, we detest that. That concerns the unfair judiciary system run by PAP government which antagonized and planted the seed of public hatred against such unfair treatment. Such issue has wider implication as in rising social tension between local Singaporeans vs foreigners. But as opposition supporters, we should not fall for the extremism while we raise the red flag against such systemic bias. It is not going to be easy to strike a balance in this era due to the change in the political landscape both in Singapore and the world. Without a strong belief in Universal Core Values of Democracy, Social Justice, Rule of Law etc etc, many of us will fall into the traps of extremism which may be detrimental to the whole Opposition movement. But we must try very hard, to constantly remind ourselves and people around us who are with us in this difficult journey of effecting Political Change.